A fine cigar marks the sophisticated conclusion of a business meeting, and defines the slow leisure after dinner with the closest friends. 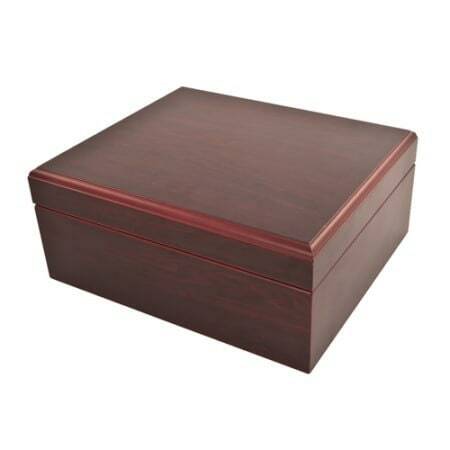 Ward off parched tobacco with a dark cherry humidor. 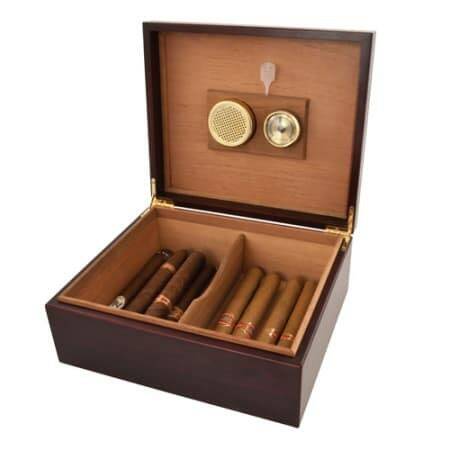 It holds 25 cigars and comes complete with a gold hygrometer to monitor their humidity.